Troed y Rhiw Farm is beautifully situated in the small hamlet of Llwyndafydd, with views from our cottages to farmland across the coombe. Cwmtydu – just over a mile’s walk down a beautiful country lane, with easy access to Cardigan Bay’s protected heritage coastline and coastal path. 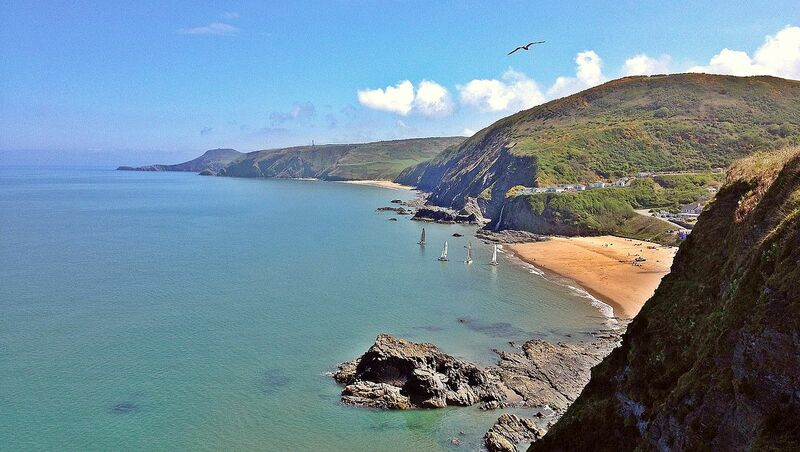 Tresaith – set in sandy cove, Tresaith is a perfect for getting out with your boogie board. 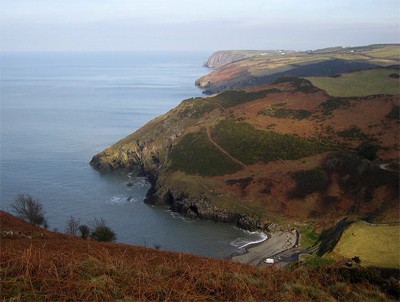 Penbryn – owned by the National Trust, Penbryn is a gorgeous expanse of sandy beach. A great beach for swimming, sunbathing and walking. Llangrannog – a small, picturesque sandy beach in the charming town of Llangrannog. The beach has a good break and is a popular spot with surfers. 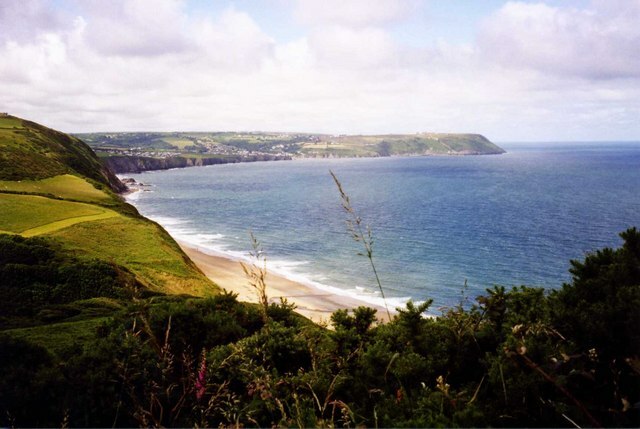 The coastal path, which is completely open between New Quay and Aberporth, also offers access to a range of wonderful secluded beaches accessed only by walking. The lanes and bridle paths in the area also offer fantastic opportunities for cycling. The Centre for Alternative Technologies (www.cat.org.uk) in Machynlleth makes for a great day out offering lots to learn about sustainable and ecological practices. The Hafod Estate (www.hafod.org/) in the Ystwyth valley is a stunning example of the ‘picturesque’ landscape – one of the best in Europe – with extensive walking through the grounds and wonderful waterfalls and streams. The National Botanic Garden of Wales (www.gardenofwales.org.uk) is also within easy reach. The Wildlife Trust of South and West Wales (www.welshwildlife.org) in Cardigan is lovely for kids with gentle walks along the river Teifi and water buffalo! Llanerchaeron (www.nationaltrust.org.uk/llanerchaeron) is a lovely National Trust property along the Aeron River with lots of activities for children and walks along the valley. National Wool Museum (http://museum.wales/wool/) offers a fascinating look into the history of Welsh wool and textiles. West Wales is a quiet gem of a place! Its beauty will take your breath away, even better enjoyed without the masses of holiday makers you might find in Cornwall or along the South Coast.